Our ability to focus on something in particular (a job in hand or object), as well as our ability to shift that focus to something else. Our ability to plan for the future. Recognising patterns in the environment and shift to new patterns. Deciding what information is relevant to that task at hand and what is not. Inhibiting inappropriate behaviours and allowing appropriate behaviours. In vertigo and dizziness sufferers it has been shown that these executive functions suffer. 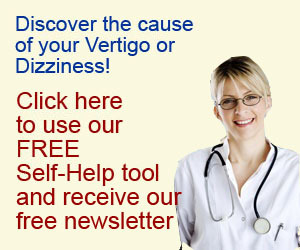 So how do you know if your brain function has suffered as a result of your vertigo or dizziness? Have I been more moody or irritable over the last few months or years (depending how long you have had the apnea)? Have you noticed I have been more forgetful lately? Have you noticed any changes in my personality or concentration over the last few months or years? Difficulty naming things or finding the right words when speaking? Difficulty remembering names, places or other things? Difficulty remembering things you did recently? Difficulty focusing on tasks (are you more easily distracted)? Forgetting why you were doing something? The more of these you answered yes to the more your likely it is that your brain function has been affected. How do you correct these changes? Correcting brain dysfunction can be very complex. However as a dizziness and vertigo sufferer the first thing you need to do is undertake a course of vestibular rehabilitation to correct any balance function that may be present. This should be done following an assessment to determine the cause of your symptoms. Nutrition is also important. A good varied diet with appropriate levels of protein and fat is essential, particularly omega 3 fats. These can be easily found in fish oils and other oils like safflower oil.